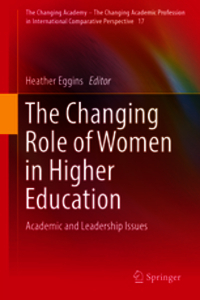 This book sets out to examine the changing role of women in higher education with an emphasis on academic and leadership issues. The scope of the book is international, with a wide range of contributors, whose expertise spans sociology, social science, economics, politics, public policy and linguistic studies, all of whom have a major interest in global education. 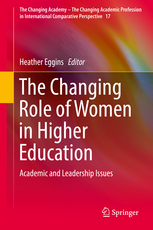 The volume examines the ways in which the leadership role and academic roles of women in higher education are changing in the twenty first century, offering an up-to-date policy discussion of this area. 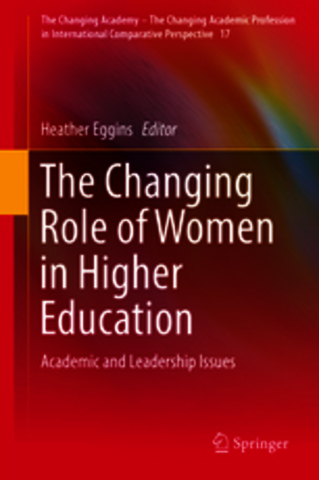 It is in some sense a sequel to the earlier volume by the same Editor, Women as Leaders and Managers in Higher Education, but with very different emphases. The pressures now are to respond to the demands of the technological age and to those of the global economy. Today there are more highly qualified and experienced female academics, and more expectation of their gaining the highest posts. Challenges still remain, particularly in terms of the top posts, and in equal pay. The discussion of global policy issues affecting the role of women in higher education is combined with country case studies, several of which are comparative. Together they examine and unpack the particular situations of women in a wide range of higher education systems, from Brazil to the US to Europe to Africa and the Far East, noting the shift towards more flexibility, more personal choice and a greater acceptance by society of their abilities. This volume is a useful and influential addition to published work in this area, and is aimed at the intelligent general reader as well as the scholar interested in this topic.